The Senior Executive Service (SES) was formed in 1979 under the Carter administration and was established when the Civil Service Reform Act (CSRA) became effective. The purpose of the Senior Executive Service was to create a group of top executives composed of members who had outstanding leadership skills, common values, and a deep understanding of the U.S. government. Leaders selected for the SES would hold key positions within the federal government and serve as a link between Presidential appointees and the Federal workforce. Prior to the establishment of the CSRA, top management positions within the U.S. government were prone to a variety of different rules, regulations, and standards making it difficult to align various personnel departments. However, once the CSRA and SES were established personnel departments became unified and government offices gained more flexibility allowing for stronger public service commitments. The SES is responsible for leading America’s workforce, and senior executives serving in the SES are accountable for meeting both individual and organizational performance goals. SES positions are often considered the civilian equivalent of General Officers or Flag Officers that are serving in the U.S. Armed Forces. These top executive positions are mostly managerial or supervisory, and held within the Executive Branch of the U.S. government. Personnel holding SES positions are responsible for directing and supervising the work of employees as they progress towards established organizational goals. In addition, SES executives are held accountable for the success of specific programs or projects that have been assigned to them and will also engage in critical policy-making and other executive functions. While SES positions are normally reserved for top executives with extensive leadership skills and experiences these positions do not include any position within the Legislative or Judicial branches of the U.S. government, nor do they require appointment by the President with Senate confirmation. In addition, SES positions are not part of law enforcement or intelligence gathering agencies such as the FBI or CIA or the U.S. Foreign Service. The SES is composed of two types of positions: Career Reserved Positions and General Positions. In addition to the two types of SES positions, there are four paths an executive can take in order to be appointed into a position. For example, the career reserved positions can only be filled by career appointees while the general positions can be filled by either career, noncareer, limited term, or limited emergency appointments. SES appointment paths or classifications include career appointments, noncareer appointments, limited term appointments, and emergency appointments. Career appointments are reserved for either general or career reserved positions, and candidates are selected based on a merit hiring process. In addition, potential candidates must also have their qualifications approved by a qualification review board prior to being selected for a Career SES position. Noncareer appointments are approved on a case-by-case basis. These types of appointments are specifically for General positions and cannot exceed 25% of the agency’s SES position allocation. In addition, across all government functions only 10% of all SES positions can be filled by noncareer personnel. Limited Term SES appointments are like contract positions since candidates are selected to fill short-term roles lasting no more than 3 years. These positions are nonrenewable and are expected to expire due to the nature of the work such as a special or short-term project. Also, personnel selected for the SES through a Limited Term appointment can only fill SES General positions. Another nonrenewable SES appointment is the Limited Emergency appointment. However, this appointment is normally made for 18 months or less and is only established when there is an unexpected or urgent need. Limited Emergency appointments can only fill SES General positions as well. The regulations governing limited SES appointments require that the number of limited appointments does not exceed 5% of all governmentwide SES positions. In addition, each agency allocates a portion of it’s selection pool for these limited appointments should unexpected needs arise. 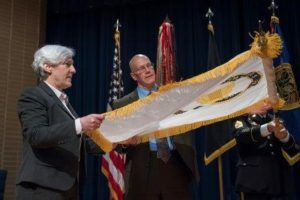 The SES is an important link in the Federal civil service that ensures that U.S. government leadership functions are responsive to the needs and policies of US, and that civil service departments provide elevated levels of service that continue to drive government goals and objectives.